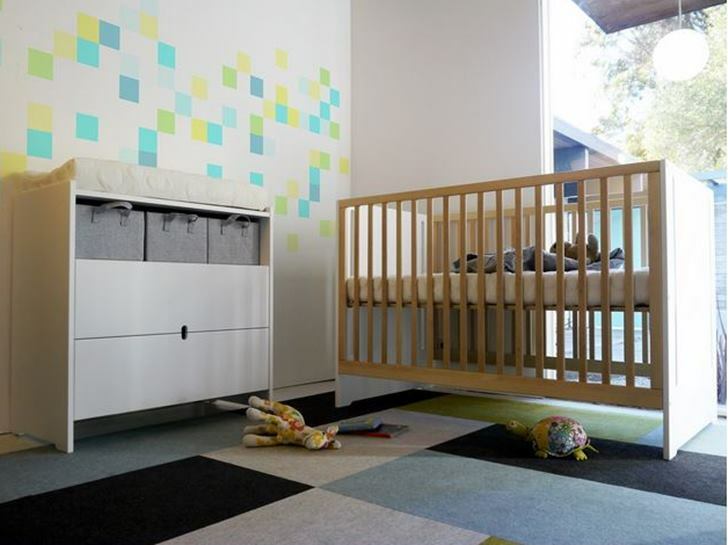 We’re long-time fans of Spot On Square and their lovely eco-minded furniture for kiddos. Now there’s more to love with their new Oliv Collection. The Oliv Collection is decidedly modern and offers the same high quality as the rest of the Spot on Square line, but boasts a modest price point. The collection includes three pieces: a crib, toddler daybed conversion and a wonderful dresser that does double duty as a changing table. The entire Oliv Collection is comprised of premium, eco-minded materials such as high-end hardware, green grade MDF made from 100% recycled wood content and non-toxic water based paints. We're long-time fans of Spot On Square and their lovely eco-minded furniture for kiddos. Now there's more to love with their new Oliv Collection. The Oliv Collection is decidedly modern and offers the same high quality as the rest of the Spot on Square line, but boasts a modest price point. The collection includes three pieces: a crib, toddler daybed conversion and a wonderful dresser that does double duty as a changing table. The entire Oliv Collection is comprised of premium, eco-minded materials such as high-end hardware, green grade MDF made from 100% recycled wood content and non-toxic water based paints.